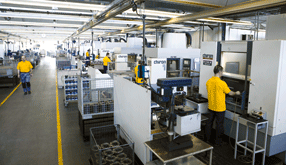 REMS GmbH & Co KG - Highly modern production – guarantor for REMS quality products. Made in Germany. Our own production plant is located in Waiblingen near Stuttgart, in the centre of Germany’s high-tech industrial region. There highly modern equipment and facilities are available for research and development, for production and quality control. In addition to this there is a permanent staff of highly-qualified employees, who in part represent the 4th generation of service at REMS. They have the special level of knowledge and experience that is essential for the manufacture of quality products. 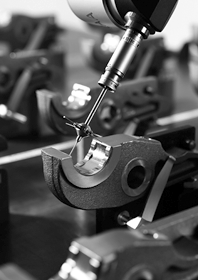 Quality means much more to REMS than simply dimensional accuracy and function. It is backed up by a comprehensive quality control system, which begins as early as the assessment of market needs and which is ever present during the product development and manufacture and continues with systematic quality analysis in the market. Furthermore the quality of the production processes is regularly monitored and affirmed by the testing agency that awards the GS safety sign. All REMS products correspond with safety and accident prevention regulations and fulfil the respective appropriate European standards according to the terms of the EU directives. 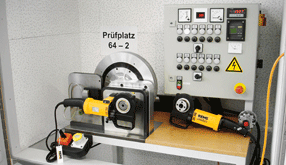 Additionally, with the exception of a few hand tools which are not safety relevant, all REMS products are checked and approved by independent testing agencies. All REMS products thereby meet an especially high standard with regard to work safety, functional safety and operational safety. Permanent innovations in processes as well as investments in efficient CNC manufacturing systems engineering ensure that REMS products are amongst the best in the world. 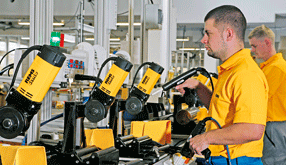 Flexible assembly lines allow adjustment to the requirements of the customer at any time. Tightly defined test intervals during the whole manufacturing process as well as comprehensive function and safety checks after completion of the assembly ensure that no faulty product leaves the plant. REMS is evaluated as having the largest number of training staff in the region. So it is able to maintain its own know-how at a high level.